showroom – Design Your Lifestyle. Your choice of kitchen appliances is highly subjective, of course. For our money, the best rotisserie on the market today is the La Cornue Flamberge Rotisserie. 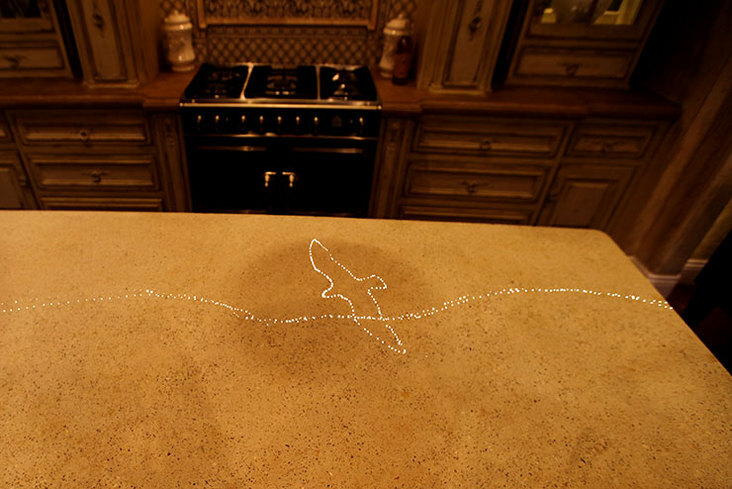 The Flamberge Rotisserie by La Cornue is as effective physically as it is stunning artistically. 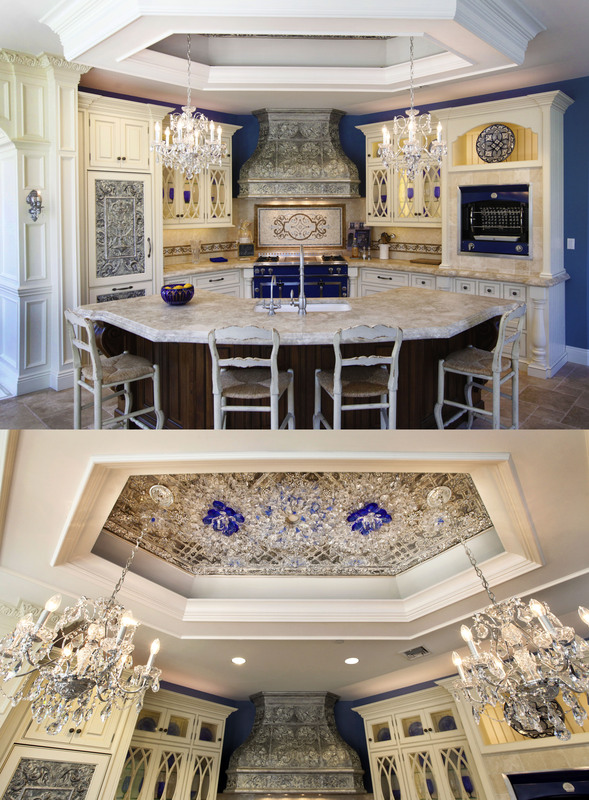 A French Blue edition of the Flamberge is present in the main display at the award-winning Peter Salerno Inc. flagship design showroom in Wyckoff, New Jersey – and it’s so wonderful, the staff can’t help but use it sometimes (see video above). The Flamberge Rotisserie is powered by a 27,000 BTU gas burner, yet requires no special ventilation methods and needs only a 120-volt power supply. La Cornue utilizes its trademark vaulted design in the Flamberge’s concave rear walls, which is covered with synthetic wicks to draw up radiant heat without the flame ever touching your food. A real jewel of technology, the Flamberge Centenaire roasts all meats, poultry, fish and whole fruits perfectly. With a new, streamlined yet spectacular design, and a reliable, simplified mechanism, the Flamberge optimises the circulation of heat flow. Both easy to fit because it has no particular ventilation constraints and practical, the Flamberge is a magnetic attraction in any kitchen, immediately arousing a desire to use it. 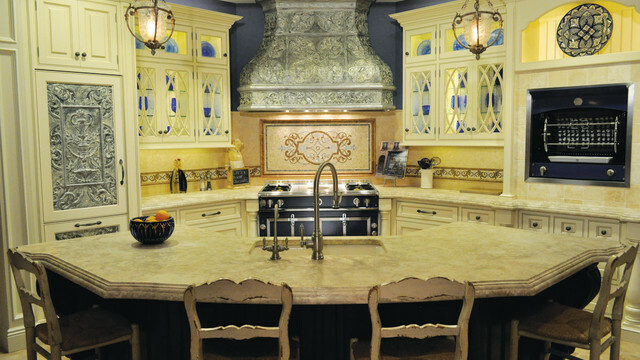 La Cornue designed special cabinet to accommodate “The Flamberge rotisserie” which will also offer you additional storage. 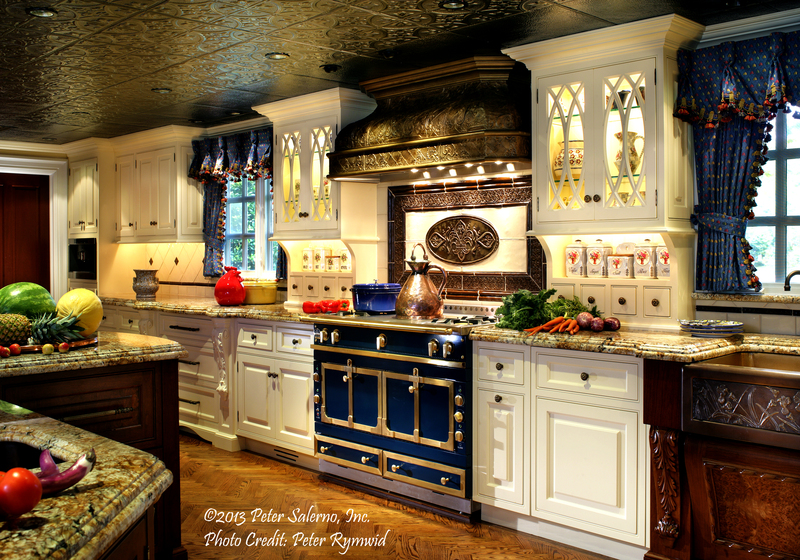 The centerpiece of Peter Salerno Inc.’s design showroom, complete with La Cornue Flamberge Rotisserie. For more information on the La Cornue Flamberge Rotisserie, please contact authorized dealer Peter Salerno Inc. at (201) 251-6608. 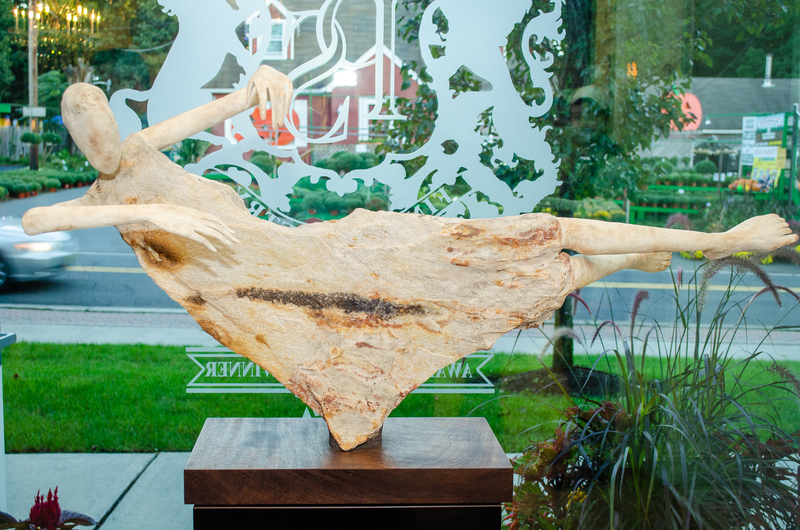 More Photos from Exclusive New Jersey Sculpture + Design Event at Peter Salerno Inc. 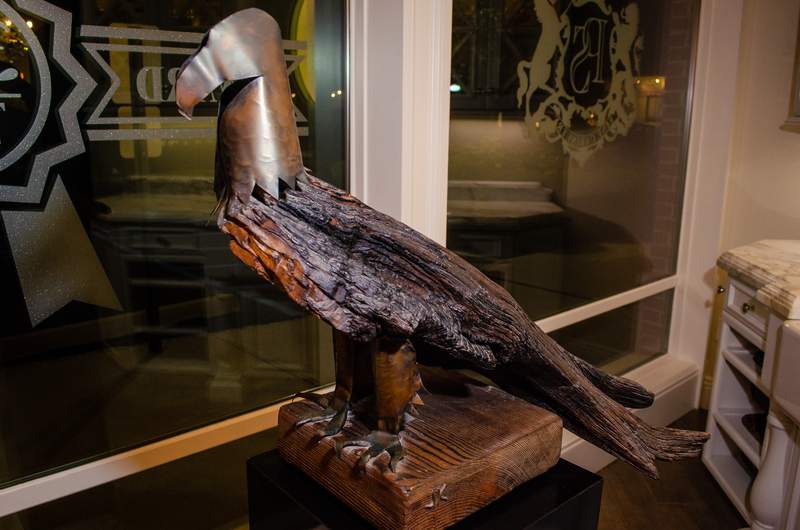 In late September 2018, Peter Salerno Inc. opened its doors for a special two night art exhibition, curated by the renowned Scott Broadfoot (of Broadfoot and Broadfoot). The artists were at the show to discuss their work and process, and all the displayed pieces were available for purchase. 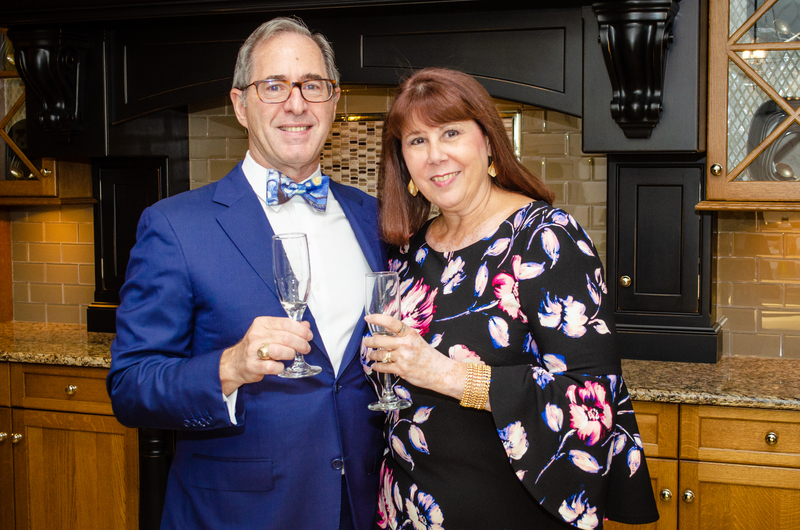 Peter Salerno offered a selection of his hand-picked champagnes and sparkling wines, and a selection of hors d’oeuvres were crafted in the transitional Miele USA kitchen vignette in the Peter Salerno Inc. showroom. 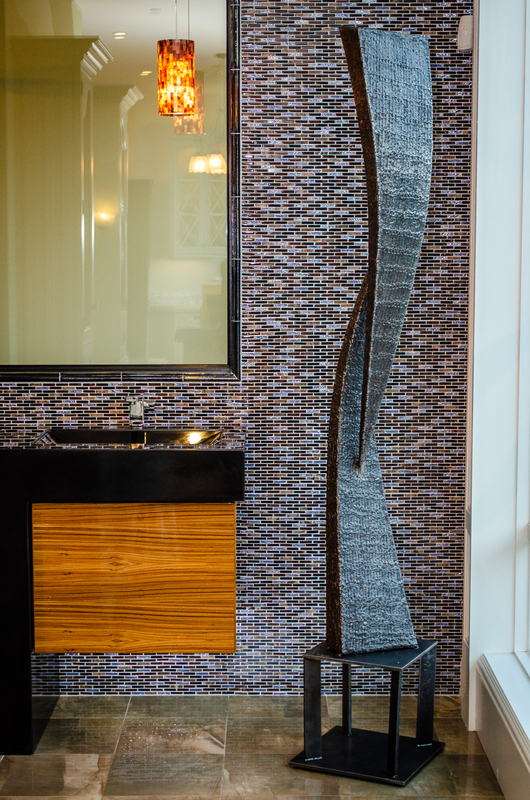 Broadfoot and Broadfoot displayed a stunning variety of sculpture, from steel to stone, that masterfully complemented the renowned Peter Salerno Inc. showroom in Wyckoff, New Jersey. The two-night event was attended by clients, business partners, trusted advisors, friends, family and some of the finest design professionals in the world. Enjoy these exclusive photos and videos from the event, entitled “Champagne, Culinary Arts & Culture”! In late September 2018, Peter Salerno Inc. hosted a stunning two-night event in his award-winning Wyckoff, NJ showroom. 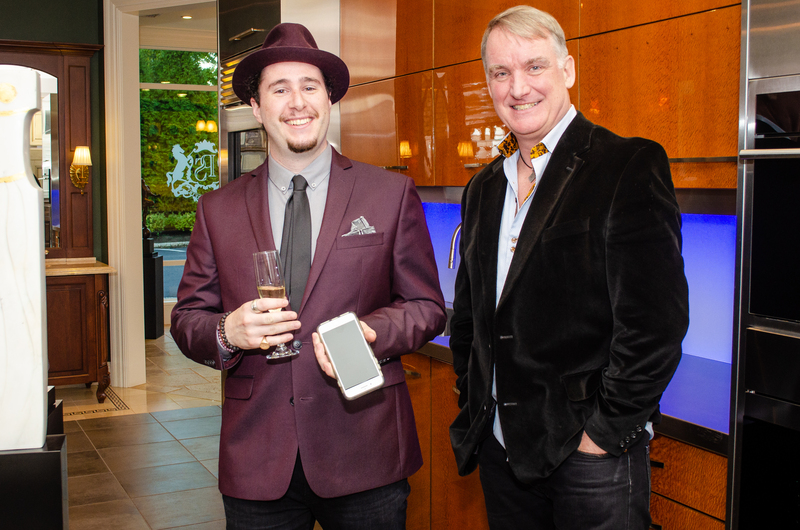 The event featured sculpture from the renowned Broadfoot and Broadfoot collection, champagne, gourmet hors d’oeuvres made fresh on the premises, and some of the foremost names in the world of art and custom design. 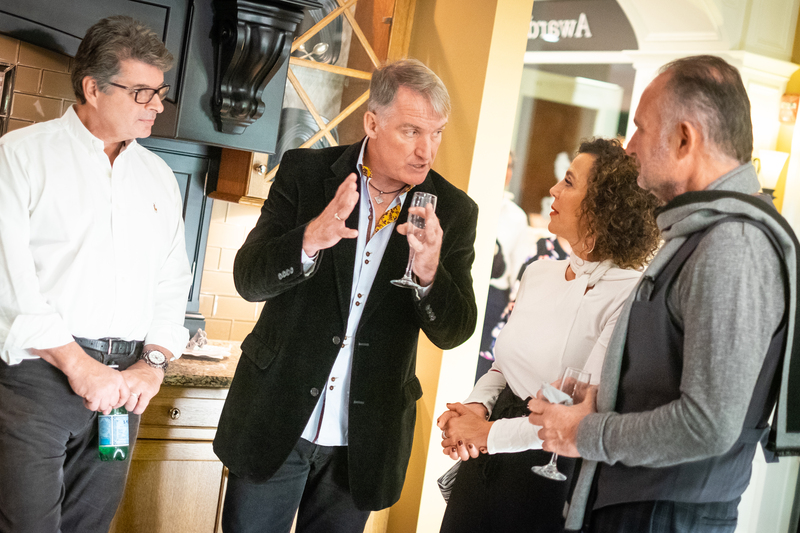 The event was presented by Peter Salerno Inc. and Broadfoot and Broadfoot, and attended by such notable names as Ren Miller (editor-in-chief of Design New Jersey magazine). 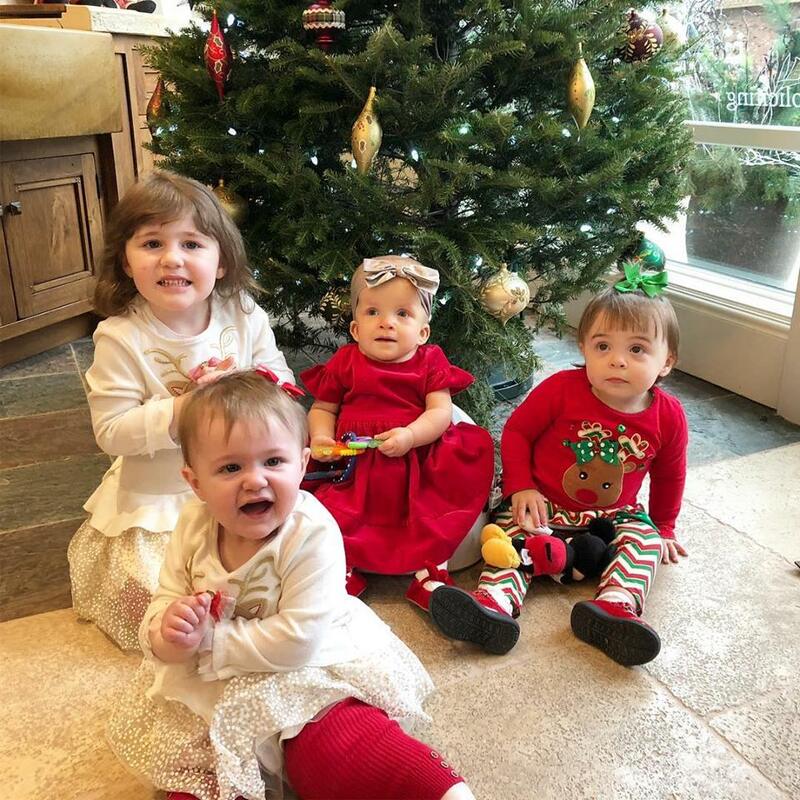 The two-night event was a ‘thank you’ to Peter Salerno’s valued clients, members of the community, sub-contractors, business partners and friends. 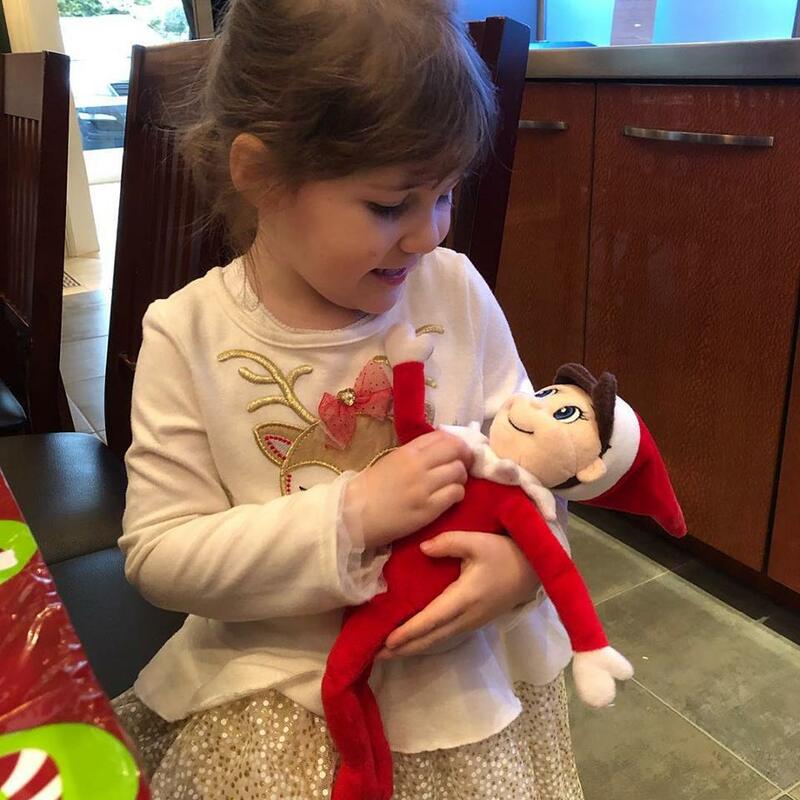 Peter Salerno Inc.’s commitment to client engagement and cultivating lasting relationships. Make sure to enable HD quality for optimal viewing! 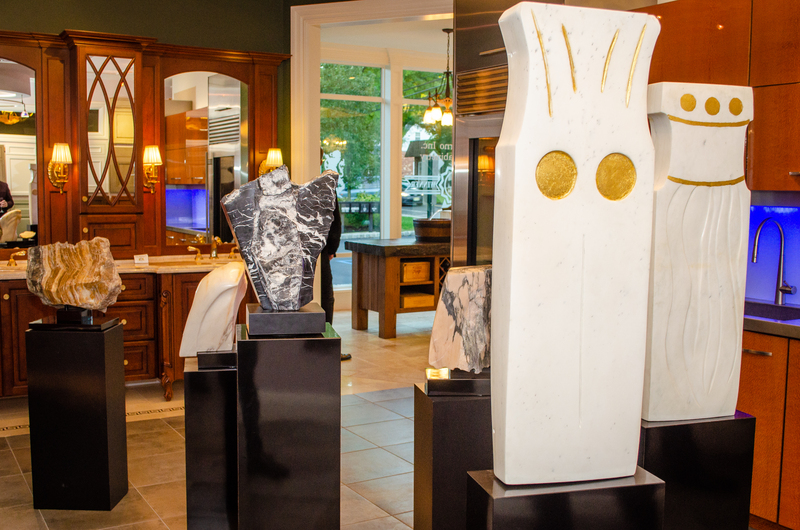 We’re amazed at how seamlessly Scott Broadfoot implemented these sculptures into the aesthetic flow of Peter Salerno Inc.’s showroom, and how beautifully the showroom featured and framed the selected pieces. It felt like an artistic marriage made in heaven! Which featured sculpture is your favorite, and why? We’d love to hear from you in the comments section!